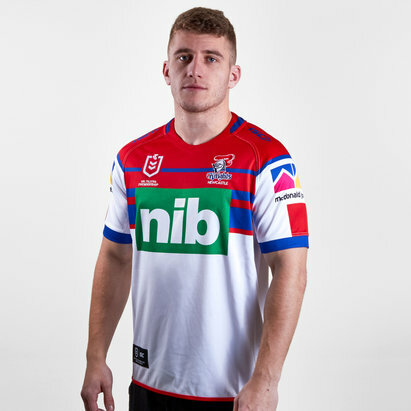 Showcase your passion for the Novacastrians when you watch at the McDonald Jones Stadium in this Newcastle Knights NRL 2018 Women in League S/S Rugby Shirt from ISC. 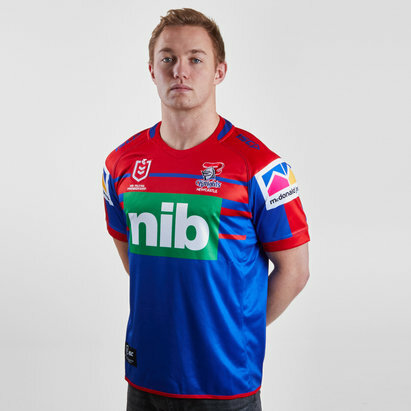 The Newcastle Knights play their rugby in Austalia's premier rugby league competition, the National Rugby League NRL. The club has won two premierships over its history and is one of only two clubs that has never lost a grand final in which it has participated. After finishing 11th in the 2018 season the Knights are now looking to improve standings for 2019. This shirt is for the games they play in the Australian rugby league 'Women in League' which celebrates and acknowledges the role women play at all levels and in all areas of the rugby league. 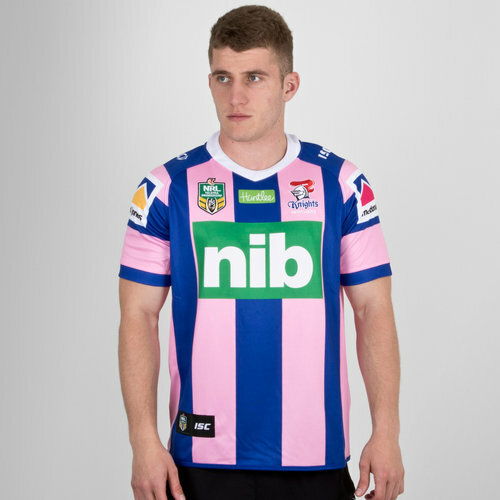 The jersey has been designed in the club's traditional blue colour but it is usually paired with red, however, this is jersey is pink and blue. The shirt uses vertical stripes on the body and horizontal stripes on the arms. 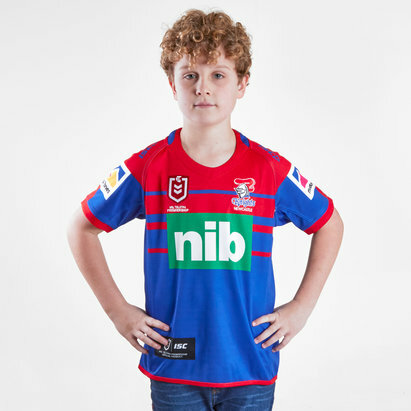 The NRL badge and club crest are on the right and left, respectively with the team's sponsor - nib - printed across the middle.